We are less than a week away from hitting the road and I'm getting all my ducks in a row to make things easier the day we leave! I want to leave on time, so the preparation is definitely half the battle! We take a lot of trips to Lexington, so I like to think I've masted the art of vacation packing. 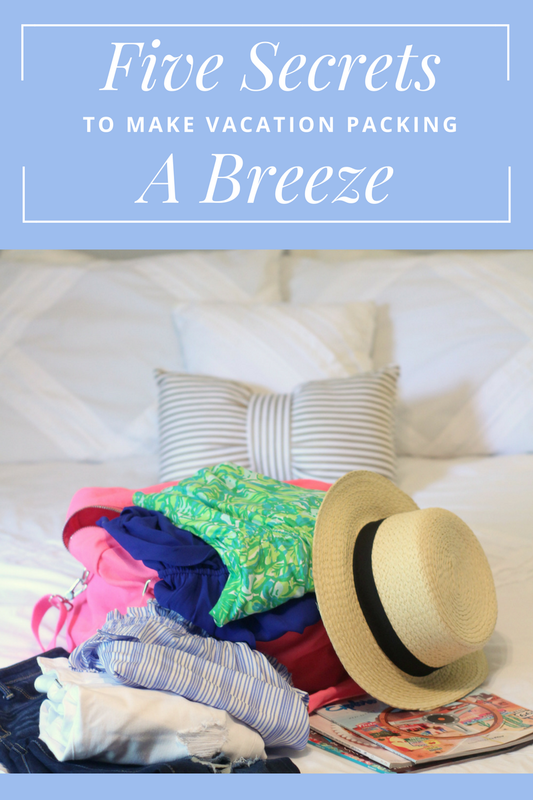 Here are some of the tips and tricks I've found most helpful in getting myself (and two kids) packed and ready to go! Make a List: I'm super forgetful, so I make lists for every person in the family and cross things off as they go in the suitcase. This helps me visualize everything we need and keeps me from forgetting what got packed and what didn't. Make a Morning Of List: In addition to my general packing list, I like to make a list for the morning of. It usually contains items like "phone charger", "makeup bag", and "hair dryer", all things I will need to use the morning we leave, but don't want to forget to pack with us! Pack What You Can the Night Before: I know I'll need to use my makeup before we head out the door, so I always put it in my travel makeup bag the night before, use that in the morning, and then toss the bag in my suitcase and go! It saves me a little time trying to pack my makeup bag in the morning when I'll inevitably be running late already. I also like to pack the suitcase and any electronics I'll be taking the night before and just lay out the clothes I plan to wear on the road. Scale Down: As much as I'd love to have my entire wardrobe with me on the go, that's obviously not feasible, so I try to work my outfits around one or two pairs of shoes. For this trip I'm bringing my favorite wedges, and while I could probably get away with just those, I'll also add a pair of sandals in case we do more walking than my wedges can handle. Read more on how I'm packing my beauty and skincare products in my What's In My Travel Beauty Bag? Post! Are you a list maker? 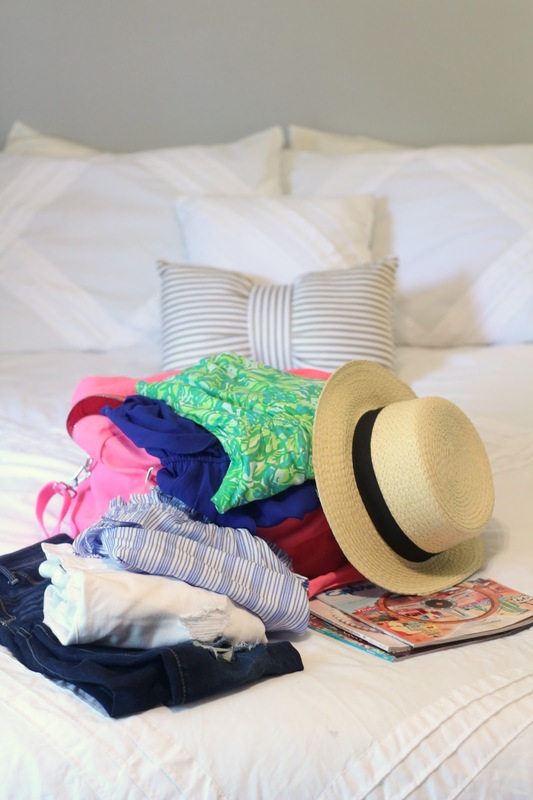 Do you have any packing tips of your own to share? Let me know! Yes to all of these!! Great tips girl. I am definitely a list maker, I can't get by without my to do lists! I do, too! Sometimes it's best to play it safe and bring extra! Great list!! I write lists any time I'm remotely stressed about something :-) Packing DEFINITELY requires lists of lists!! Thanks, Katie! Yes, we go through a ridiculous amount of notepads and pens in this house! I'm such an over packer! It's hard not to be sometimes though haha. I feel ya! I'd rather over-pack than come up short, though! Great tips! Love that striped swimsuit you brought. Thanks for linking up with Thursday Moda!